Charlie Quong, Vice President of Product Development and Engineering, is responsible for increasing shareholder value by driving the development of best-in-class Creative Product Solutions. Mr. Quong oversees Product Development, Industrial Design, Engineering, and Quality Management Systems as well as Document Control across the organization’s global locations. Mr. Quong joined ZAGG through the acquisition of mophie in 2016. Prior to joining ZAGG, he led product development for mophie since December, 2010 where he was responsible for the buildup and management of the Product Management, Product Development, Industrial Design, and Document Control teams. Mr. Quong’s other key responsibilities included supplier base management, product portfolio management, and process leadership. He has over 20 years of experience developing, innovating, and managing consumer electronics product lines and mobile software solutions. 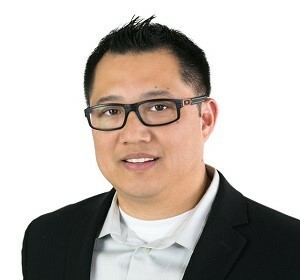 Prior to joining mophie, Mr. Quong served as Director of Product Planning at Clarion Corporation of America, Director of Product Development at Directed Electronics, Sr. Product Manager at Magellan, and Sr. Product Manager at TeleCommunication Systems, Inc. Mr. Quong earned his Bachelors of Business Administration with an emphasis on Marketing from the University of Southern California.